Simon Zahra and co-trainer Mat Ellerton will test the staying potential of 2 fillies at Flemington. 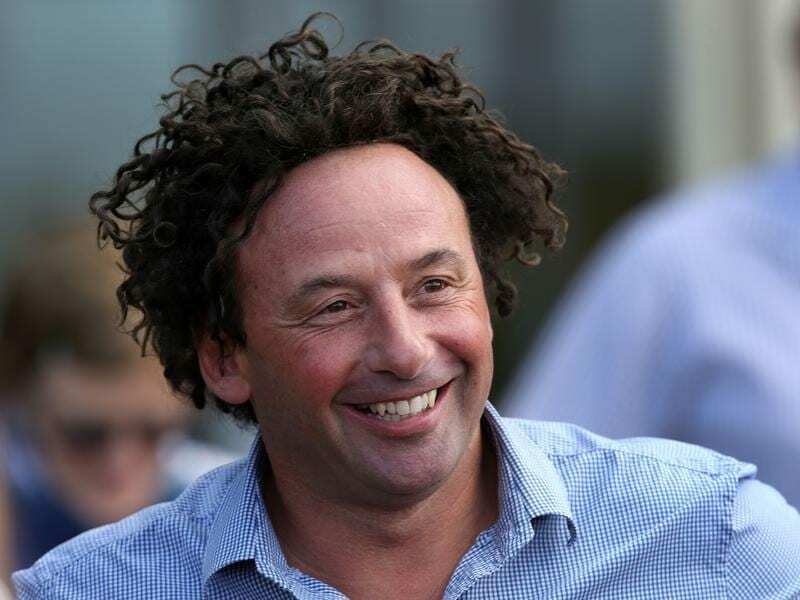 A relatively short turnaround since So You Swing’s last-start second is co-trainer Simon Zahra’s only query for the filly ahead of the Byerley Handicap at Flemington. So You Swing is one of two runners for co-trainers Mat Ellerton and Zahra in Saturday’s $120,000 race for two-year-olds , a late-season chance for stables to test potential stayers over 1800m for the first time. The winner is exempt from ballot for either the Victoria Derby or VRC Oaks this spring, but Zahra says that is not the focus going to the race with So You Swing and Necessitas. So You Swing won over 1225m on debut at Geelong last month before closing strongly for second in a 1400m handicap against her own age at Sandown last Wednesday week. “It was a good effort at Sandown. Obviously her sectionals were good and she can run time,” Zahra said. “Probably the quick back-up might be our only concern. Necessitas made her debut in the same Geelong race, finishing sixth, before a midfield finish at Bendigo over 1300m. “She is out of a staying mare (Of The Essence) and really looks like she wants the ground,” Zahra said. So You Swing was the $3.80 favourite on Friday while Necessitas is at $23. “I think So You Swing probably looks a bit more brilliant with a turn of foot, like she showed at Sandown,” Zahra said. Trainer Ciaron Maher will test Visao in town for the first time after the colt won a 1400m maiden at Mildura by 3-3/4-lengths at his second start earlier this month. He was at $4.60 on Friday. “The question mark is probably going to the 1800 but he’s trained well since and you’d think a two-year-old race over 1800 is not going to have a huge amount of depth,” Maher’s assistant Dave Eustace said.